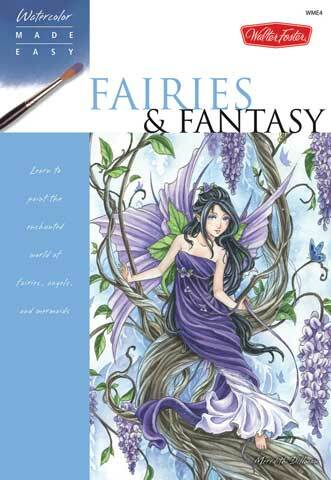 Bring fairies, mermaids and angels to life in watercolor with this delightful guide. It provides instruction specific to creating the mythical beauties and their whimsical surroundings, showing readers how to draw and paint faces, bodies, hair, clothing and more. It also guides readers through several inspiring projects, demonstrating how to re-create the magic step by step. The 64-page paperback book measures 6-1/2" x 9-1/2".